This year, the food establishments at the Student Center seem to be getting major overhauls, with various locations being closed down and replaced. The most recent change involved replacing Great Wraps and Rosita’s with Ray’s New York Pizza and Twisted Taco, respectively. This change seemed to have less student input than previous dining changes, and even less notice. We believe there should be a higher priority given to both notification and student input in the future. While there are surveys at the end of each semester to gain student insight on dining options, there still could have been a single survey focused solely on what students would like to see in the food court, knowing the options were going to change. How Panda Express was chosen is a perfect outline of what should happen. Student ideas were specifically asked for and considered before making the selection about which vendor would fill the vacancy of Burger Bytes. In this case, it appears that dining pulled data from the bi-annual surveys sent out at the end of each semester. Due to the broadness of the dining related survey, which is mainly focused on where students eat, student commentary on specific issues like food court options is likely limited. Beyond this, one of the simplest but still important questions that has been left unanswered is why did Great Wraps and other vendors close and so quickly? There seemed to be especially little notice with this food court change. 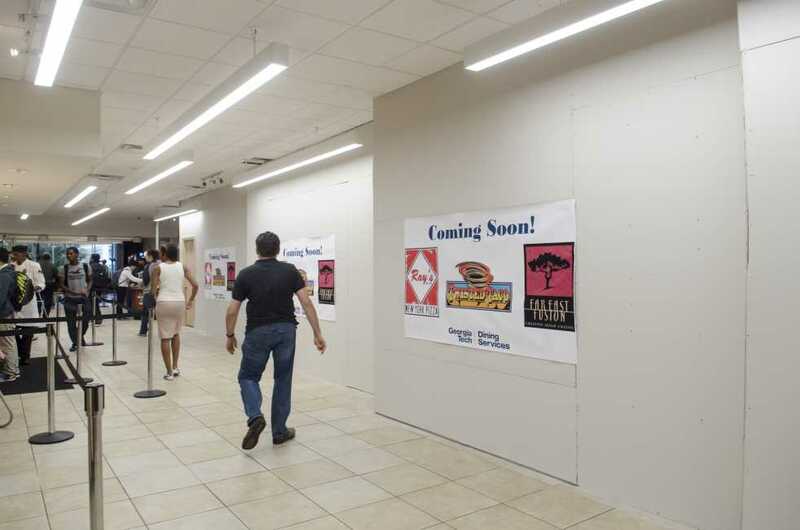 With no alerts on Facebook, Twitter or GT Dining’s Website, many students were shocked to see that their favorite restaurants had disappeared effectively overnight. From now on, Tech should strive for more consideration from the students about the types of food services offered as well as communicate more clearly about decisions that result in closing vendors.